Bruce McGill and Veronica Cartwright. 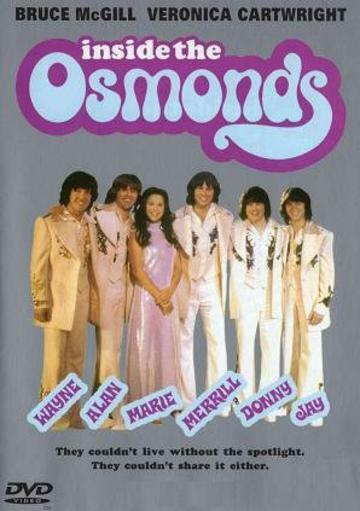 Guided by their strict yet level -headed father, George (BRUCE McGill), and supported by mother Olive (VERONICA CARTWRIGHT), the Osmond Brothers group, consisting of Wayne, Merrill, Jay and young Donny, are Looking to make it big on their own in the world of Rock and Roll. But due to a squeaky clean, religious image the future Looks dim. Enter Mike Curb, a major record label owner who has faith In the Osmond Brothers. With young Marie and Jimmy destined to join them and a number one hit in the states this original “boy band" begins a meteoric rise to international stardom.